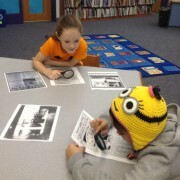 Norge 4th and 5th grade students learn about Primary Sources by examining documents from the Library of Congress website. 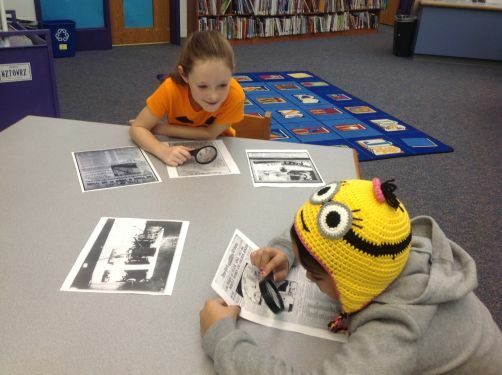 They used magnifying glasses to closely inspect newspaper stories, photographs, and letters about the sinking of the Titanic in 1912. Beep Beep Walkathon is a Success! 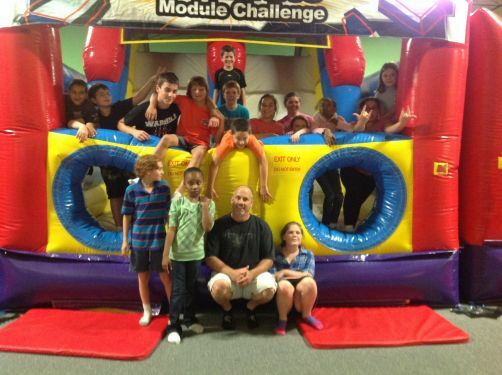 Students raised over $4,700.00 this year for the Norge PTA during this year’s Beep Beep Walkathon fundraiser! 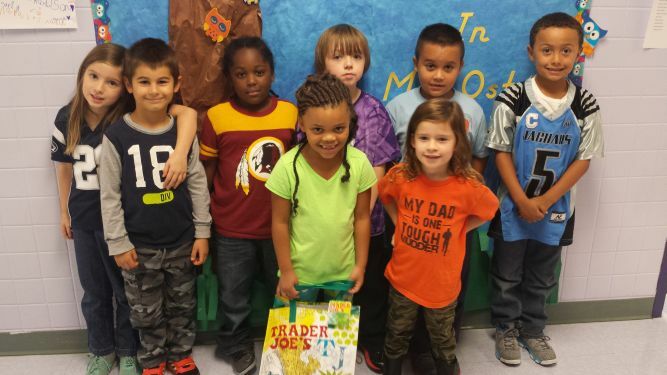 Leading up to the Walkathon, students raised money and had a chance to earn prizes during daily drawings. 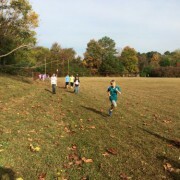 On the Walkathon day, students went outside during their centers time and walked or ran around the field for 45 minutes. Racer, the Norge Roadrunner mascot, was outside cheering the students on. Mrs. Turner was the Walkathon DJ, playing upbeat tunes to keep the energy level high! 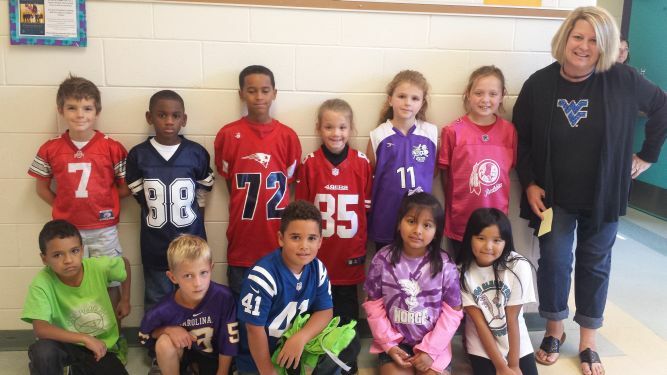 Norge students simultaneously learned the importance of fundraising for our school and staying active and healthy. 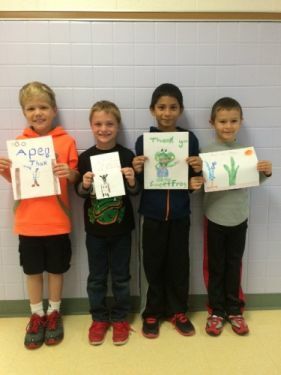 Also pictured are 2nd grade students who wrote thank you cards to the businesses that contributed to the Walkathon. The students completed the thank you cards in art class with Ms. Chantry. 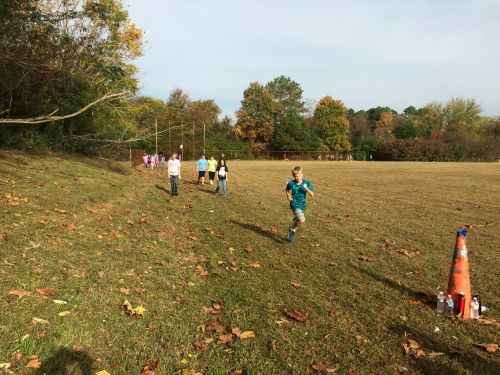 https://wjccschools.org/nes/wp-content/uploads/sites/16/2014/10/Beep-Beep-Walkathon.jpg 375 500 Cynthia Cattell https://wjccschools.org/nes/wp-content/uploads/sites/16/2014/05/logo.png Cynthia Cattell2014-10-31 10:33:242015-10-08 11:05:25Beep Beep Walkathon is a Success! 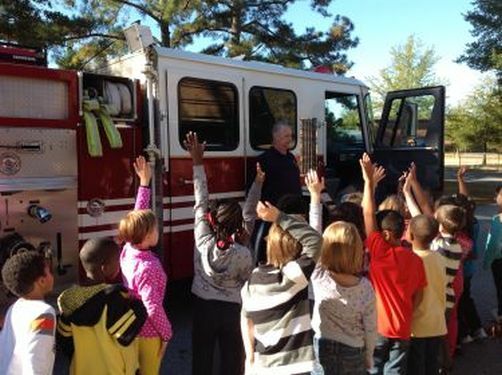 Firefighters Cory, Brandon, Frank, and Nathan spoke to the 1st graders about fire safety tips: “Get out and stay out” if there is a fire or smoke in your house/building, and “Low and go” to safely crawl out under smoke. 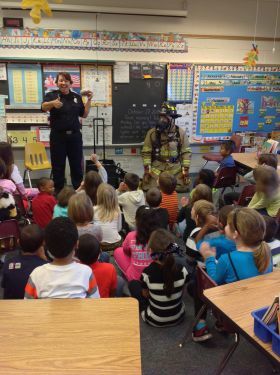 They also examined and discussed firefighter gear so that the children will not be afraid if approached in a building by a firefighter in full gear (never hide!). 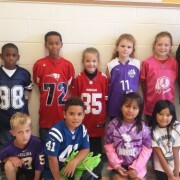 Wear our school colors, PURPLE and TEAL, to show school spirit during the Beep Beep Walkathon! 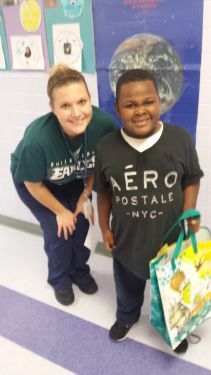 National School Lunch Week Was a Success! 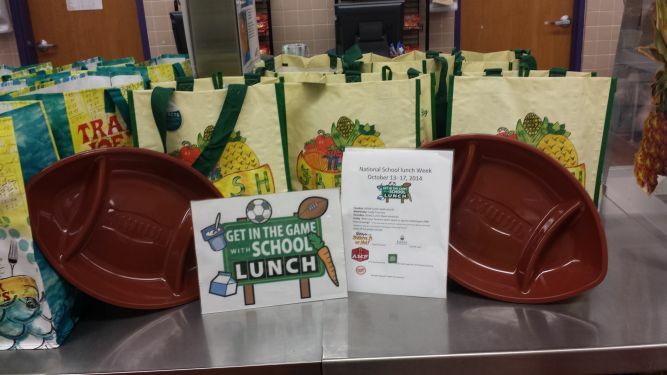 National School Lunch Week 2014 is now over. The Norge cafeteria staff would like to say thank you to everyone for supporting our school lunch program and helping us encourage kids to find a balance between healthy eating and physical activity. 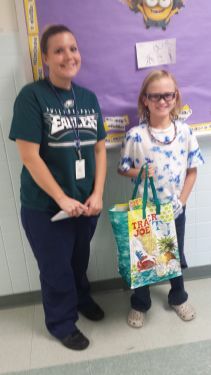 The prizes were passed out on the last day of the week. 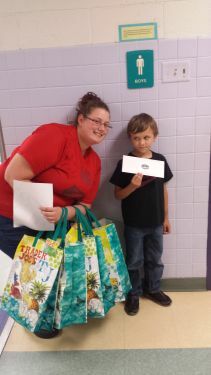 The students that won are being asked to draw a picture or write a thank you note to the local business that their prize was donated by. 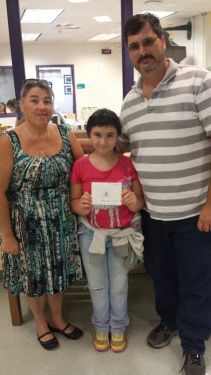 Christie Snow, our cafeteria manager is writing letters to all the businesses that participated and she will include these thank you notes from the students. *Fresh Market Bags- Fresh Market reusable bags(designed by children) filled with fresh apples, 2 containers of fresh blueberries, 4 bottles of assorted flavored water and a bag of trail mix. *Trader Joe’s Bags- Trader Joe’s reusable bags filled with Trader Joe’s brand items including corn puffs, assortment of organic fruit wraps, fruit juice box and roasted seaweed. 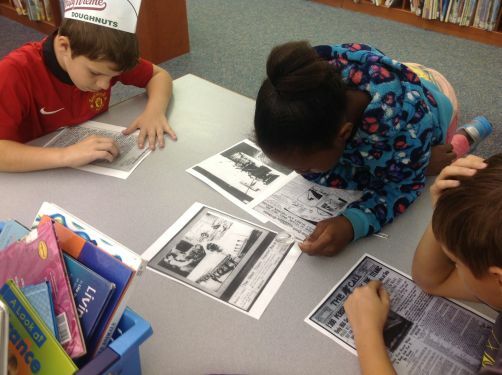 https://wjccschools.org/nes/wp-content/uploads/sites/16/2014/10/20141017_144929.jpg 375 667 Cynthia Cattell https://wjccschools.org/nes/wp-content/uploads/sites/16/2014/05/logo.png Cynthia Cattell2014-10-22 11:40:162014-12-04 09:33:02National School Lunch Week Was a Success! 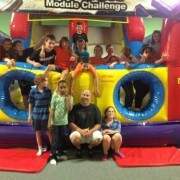 Mr. Moff’s students met at the Bounce House for a class Family Night. 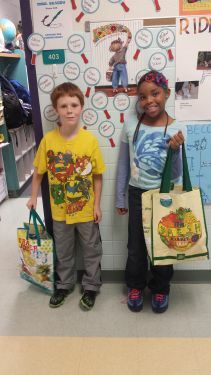 The students used their “TRACKS” (Norge’s behavior incentive program), to earn the privilege to go. Keep up the TRACKS behaviors! Norge welcomed Caldecott Award winning author and illustrator Brian Floca on Thursday, October 16. 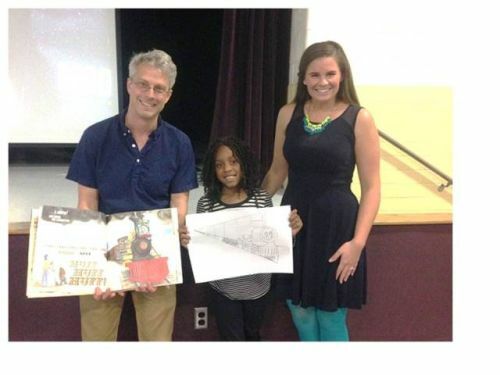 He spoke to students in grades 1 â 5 about the process of writing and illustrating a book. 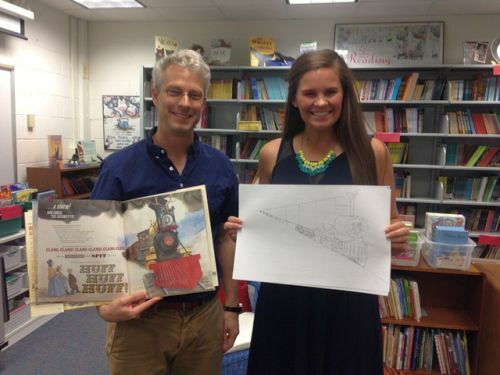 Norge Art Teacher, Ms. Chantry, is using Brian Floca’s book, Locomotive, to teach third grade students how to draw using perspective. 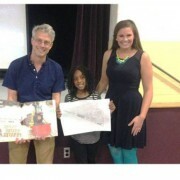 Pictured is Brian Floca, third grade student Tylajah holding her artwork, and Ms. Chantry. Mr. Moff tries unconventional methods to motivate his students to practice their multiplication facts. 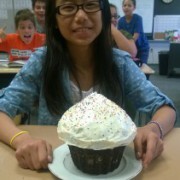 He promised his class that any student who could beat his time on a multiplication facts timed test would receive a gigantic homemade cupcake. The students attempt to beat his time every Friday. 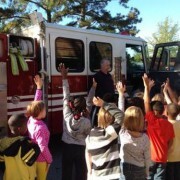 He has never had a student meet this lofty goal until this year. 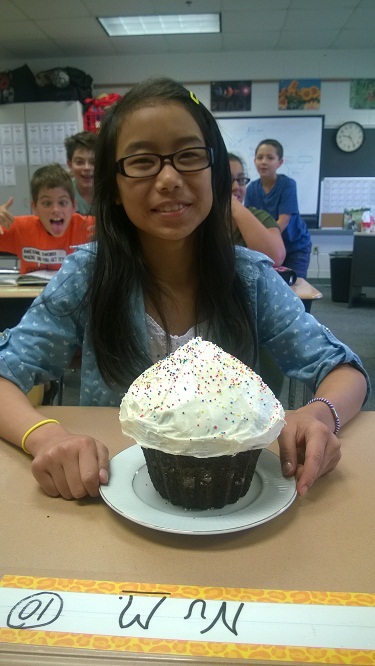 Nu completed her timed test in 2 minutes and 6 seconds during the first month of school! When she was asked how she did it, she credited her finger dexterity to the hours of piano practice she does every day. The rest of Mr. Moff’s class is now even more motivated to practice their facts every night at home. Congratulations Nu!